Zinc is an essential mineral needed by your body in relatively small amounts, 20 milligrams or less per day, depending on your body size. Elemental zinc is very poorly absorbed in your gut so in supplemental form, it's often attached to a chelating agent, which is a compound that binds or grabs onto it and facilitates absorption. As such, chelated zinc refers to elemental or atomic zinc attached to another molecule, such as picolinic acid. Once in your body, zinc is important for strong immune response, growth and balancing blood sugars. Consult with your doctor about whether you should be supplementing with chelated zinc. Read more: What Is a Safe Dosage for Taking Zinc? Chelated zinc is a supplemental form of zinc that's more easily absorbed. You may benefit from a supplement if you're not getting enough zinc from your diet or you need more zinc to support immune health. Chelated zinc is divided into two main types: organic acids and amino acids. The organic acids that are usually attached to zinc include picolinic acid, orotic acid, citric acid and gluconic acid. Amino acids that are commonly attached to zinc include methionine, monomethionine and aspartic acid. Consequently, the labels on supplement bottles will read zinc picolinate, zinc gluconate and so forth. Supplemental zinc is also available attached to inorganic acids, such as sulfates and oxides, but they are not nearly as common or as well absorbed. Zinc supplements come in tablets, liquid, capsules and lozenges. Dissolving a chelated zinc lozenge in your mouth is a great way to absorb the mineral. The National Institutes of Health recommends that adults consume between 9 and 13 milligrams of zinc daily, depending on gender and whether you're pregnant or lactating. This is dependent on body size; if you're a large person, you may need at least 20 milligrams daily. 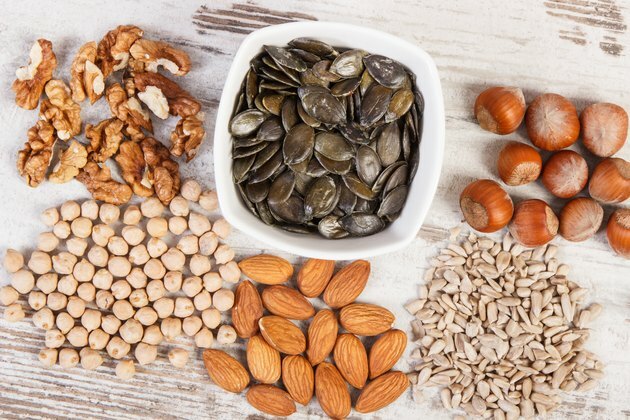 Zinc deficiency is rare in the United States, but usually manifests as reduced sensations of taste and smell, depression, lack of appetite, growth failure in children and weakened immunity. Zinc toxicity is not common either, but is thought to occur via consumption of at least 40 milligrams in a short period of time. Symptoms of toxicity include a bitter taste in the mouth, nausea, vomiting, cramps and bloody diarrhea. According to the National Institutes of Health, zinc is necessary for a healthy immune system. People who are zinc deficient tend to be more susceptible to a variety of infections, such as colds and flu. For this reason, doctors sometimes suggest zinc supplements to boost your overall immunity and ward off infections. However, taking chelated zinc lozenges or using zinc nasal spray at the first signs of illness has not been adequately proven to dramatically reduce the duration and severity of symptoms. More research is needed to better understand what forms of supplemental zinc may be most effective against viruses and bacteria. According to the Linus Pauling Institute, zinc plays a myriad of roles in your body and may be helpful for preventing age-related macular degeneration, balancing blood glucose, and reducing the risk of Type 2 diabetes and the incidence of infections in HIV-infected patients. However, more research is needed before definitive recommendations can be made. WebMD: How Common Is Zinc Deficiency?